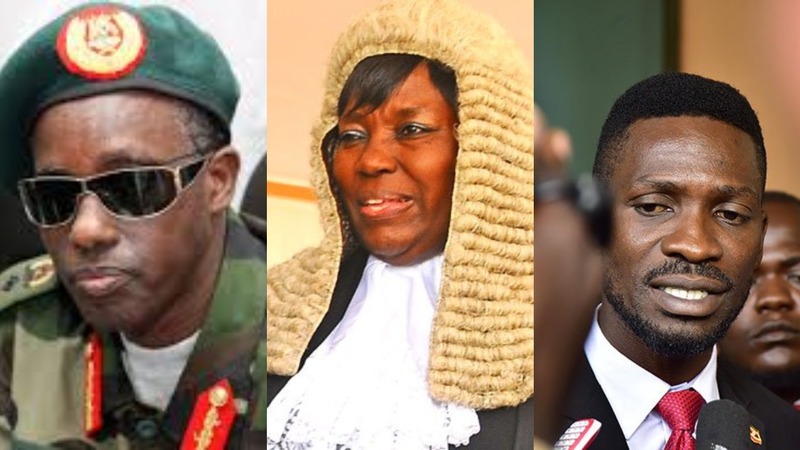 PARLIAMENT – Speaker of Parliament Rebecca Kadaga on Tuesday rebuked Security minister Gen Elly Tumwine over his remarks on why police was blocking music concerts organized by Kyadondo East MP Robert Kyagulanyi aka Bobi Wine. Kadaga then asked Prime Minister Ruhakana Rugunda to offer a formal report to Parliament on the matter. The speaker’s order came after Bobi Wine complained about his mistreatment by police in Gulu and in Jinja where they arrested some of his supporters and blocked his concert. “Besides my role as a member of parliament, I am also a musician and that is how my family survives and indeed through that trade, I employ hundreds of Ugandans,” Mr Kyagulanyi said. Premier Rugunda, being absent, Kadaga tasked Tumwine to explain the matter, only for the security minister to downplay the whole incident as occupational hazards. Gen Tumwine said that it was Mr Kyagulanyi himself to blame for the failure to strike a balance between music and politics. “Hon Kyagulanyi will be my witness when he came to parliament as a musician I had a conversation with him, and I asked him, ‘how will you balance your music from politics?”he said. This also attracted the wrath of other MPs such as Gilbert Olanya (Kilak County). The Speaker also wants the premier to explain why Mr Kyagulanyi has on several occasions has been barred from accessing places of worship, contrary to the Constitutional provision on the right to assembly and association including the right to religion.“The form we signed when we were elected does not say if you are a dancer stop dancing, if you are a teacher stop teaching, no,” Kadaga said.